Events that require a TENS license* from SODC, this will need to be arranged (details provided at time of booking). *This is for serving of alcohol and/or film shows. The license, obtained from SODC, must also be displayed in the Hall during the event. Our hall has an excellent range of audio/visual equipment (including large screen, projector, microphones, theatre lighting, and sound system) available for hire. If interested, please discuss when making your booking. 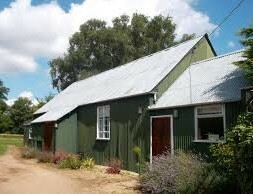 In the kitchen, we have a range cooker and fridge - as well as crockery and cutlery for about 60 people. If needed, please advise at time of booking and we will establish the hire cost. Villagers - we would ask for a voluntary donation or an agreed payment.